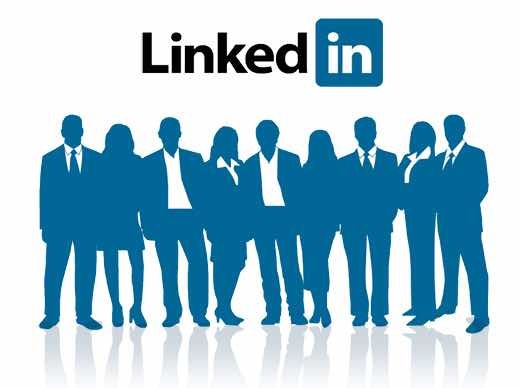 LinkedIn is an underutilized social platform that is first and foremost, a way to establish and maintain your professional network. You create a profile that basically serves as a publicized version of your resume, you connect with other professionals by adding one another as friends, and if you’re lucky, you stumble across opportunities to advance your career. Career advancement you say? Why would it be underutilized if it can get me a job? Good question. Many people don’t fully understand all this platform has to offer. The direct line of communication between job seekers and hiring managers, the endless supply of job postings, the insight into contacts that may be able to give you referrals… there are so many benefits! Companies use it as a way to find talent, making it a no-brainer for anyone looking to market their skills and get hired. Every job seeker should have a LinkedIn profile, plain and simple. Every job seeker should have an up-to-date, eye-catching and detailed LinkedIn profile, plain… but not always so simple. Here are 11 tips for getting your profile noticed. They say not to judge a book by its cover but the fact of the matter is that your profile picture WILL be looked at and WILL be judged. Consider it your first impression. Remember when we discussed how important it is to dress professionally for an interview or career fair? It’s also important to look professional in your photo, because well, it’s a professional network. No, that Facebook photo of you out partying will not be suitable here; a nice headshot in business-casual attire will work just fine. This is a given. Treat your profile like a glorified resume and include the companies you have worked for, what your title and responsibilities were, and how long you were there. You’re trying to get a job right? How are you supposed to get a job if hiring managers cannot reach you? Don’t depend on the LinkedIn messaging system. Prove you’re a real human by including your email address, your website (if you have one), your social media profiles and your phone number (if you’re comfortable sharing). 4. What are you good at and who knows it? LinkedIn has a fantastic feature on which you can tag your skills and be endorsed by people who can back up your claims. Be careful here, though. It isn’t a good look to have your friends go in and endorse you for things that they haven’t personally experienced. How does your friend Becky know you have advanced Microsoft Excel skills when you’ve never done any work for her using that program? Stick to what is genuine, because you don’t want to over-sell on something that you may fall short on. Get rid of the mile-long jumble of numbers and customize your profile link (ie. linkedin.com/yourname). This will look more professional and make it easier to share. Use this section to describe yourself in 3-5 paragraphs. This should be a brief but detailed overview of your qualifications, your work experience, your primary skills and any major accomplishments. This is a good place to incorporate any specific keywords associated with the job or industry you are interested in. As a learnership seeker, you may choose to write about school work that is relevant to your chosen career path. Don’t be shy. If you were heavily involved in a project or maintain a good relationship with a previous employer, ask if they wouldn’t mind writing you a recommendation on your LinkedIn profile. Recruiters like to know what you have to say for yourself, but positive words from people who have actually worked with you are a major selling point. The more specific and detailed your recommendation is, the better. It’s OK for you to ask them to highlight certain details or experiences to really help you send your goal message. If you have done something that was worth an award, you surely want others to know about it. This can include being honored for your academics, such as being placed on the dean’s list at your university. If you have samples of work that is relevant to the type of job you are interested in, provide them! Writing, marketing materials, graphic design art, coding… there are so many ways you can show off your work, and get noticed. This will only help your credibility. If you’re passionate about a certain cause, talk about it! Especially if you have donated your time to an organization that you care about. Recruiters like to see that candidates are philanthropic because it shows that they can think beyond themselves. Volunteer experience is also often looked at as equal to work experience, so if your resume isn’t super long because you are looking for a learnership, you may still have a lot to write about. After your profile is complete, join groups and be a part of the discussion. Find groups within the industry you are interested in because this will not only allow you to learn from others, but it will help get your name out there. The more information you include on your profile, the more likely you will be found. LinkedIn actually has a meter that shows the percentage of your profile completion and gives recommendations on what to work on next. The higher that percentage, the better! If you look at your profile and it isn’t clear where you have worked, where you went to school, what type of skills you have, what organizations you have been involved in, and what others have to say about you… there’s work to be done!